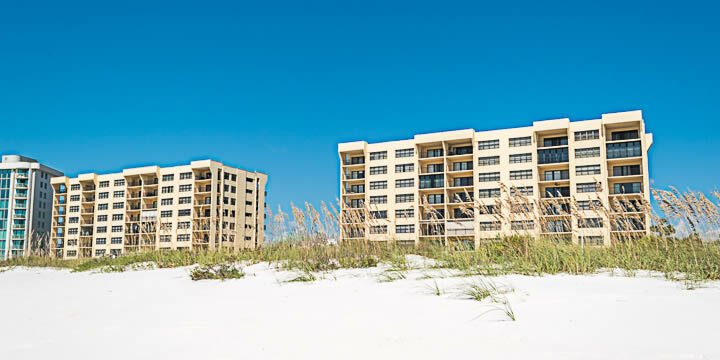 The Windward Condos are beachfront, sitting directly on the Gulf Coast in Perdido Key, FL. Two eight-story towers overlook the Gulf, with a beautiful large community pool and deck in between. Covered carport parking is provided for owners on the street side along with extra storage space and parking area for guests. The resort is family and pet-friendly, with onsite rental management through the Homeowners Association. These are all two-bedroom units, priced around $350,000, with 1,267 sq ft of living space. Built in 1981, they have renovations, and most offer exquisite luxury appointments, with open floorplans featuring hardwood flooring, granite countertops, designer kitchens, and more. Each condo has a private Gulf-front balcony that provides stunning views of the Gulf and beach below. 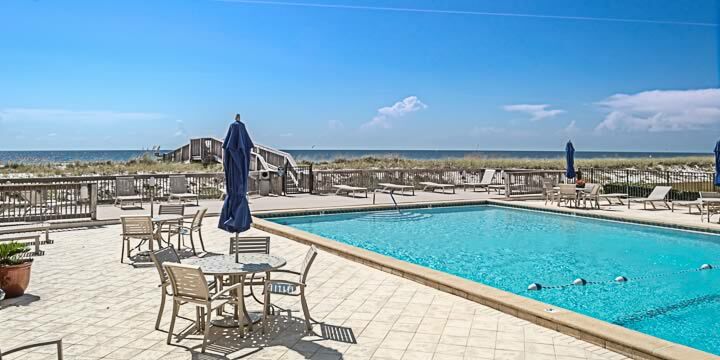 Across Perdido Key Drive, more amenities are provided, with tennis courts, and full boating facilities including boat ramp, dry storage, and first-come-first-served basis boat slips on the deep waters of Old River. A second balcony overlooks the tennis courts. Units on the higher floors have views of the river as well. The location of windward is excellent, nestled next to three restaurants for lunch, dinner and, breakfast for dining options. Beaches along Perdido Key are uncrowded and peaceful, with fewer rentals and less tourism - perfect for living the resort life without the traffic and noise. If you are looking for a maintenance-free home that offers all the fun of the best resorts, the condos in Windward should be first on your list of possibilities. Units for sale here are rare, so you may want to get on a list to be the first to know when one is listed. Let us show you what they have to offer.